St. George is the patron saint of England, and there is a bit of resurgence of national pride, making waving the flag popular again and less likely to get you mistaken for some neo-facist racist thug. It’s nice to see the day being celebrated in villages, towns and cities all over the country, even if somewhat modestly. I was at work yesterday and opportunities to mark the occasion are limited. However being the lovely boss that I am, I treated my team to a good old fashioned English and specifically London tradition lunch. Obviously the only thing to have is Double Pie, Single Mash and Liquor – liquor being a parsley sauce traditionally made with the stock from the eels. 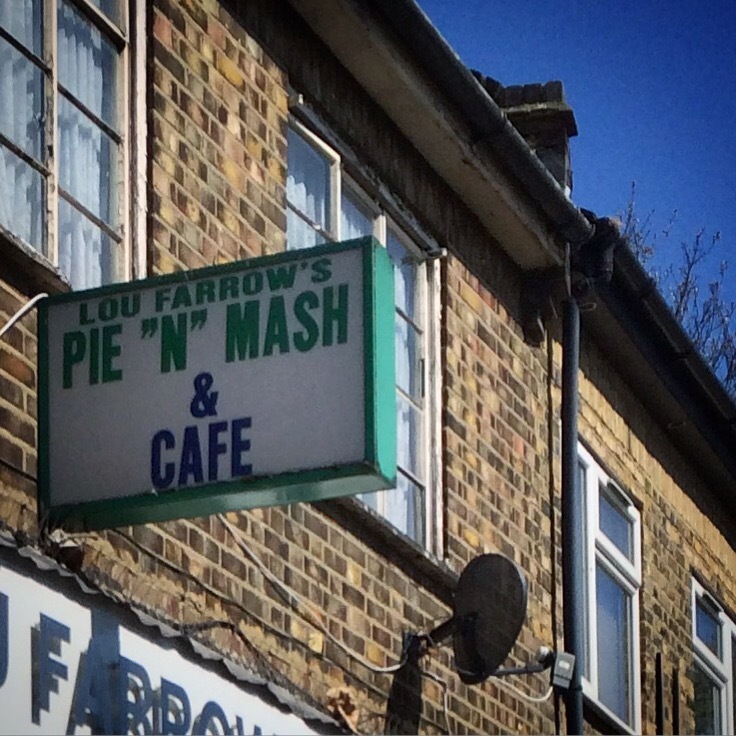 Lou Farrows is a local Bermondsey institution down at ‘The Blue’ – one of the few great pie families of London. The others of course being Manzies and my favourite – Goddards. These two latter families being ‘pie royalty’ in South London and both still going strong. Spring 2016 Sad to report that Lou Farrows seems to have closed down. Another part of Londons food history apparently gone. Such a shame (they made great pies) and I can’t help wonder where the Millwall crowd will get their pre-match pies now? 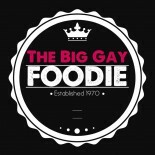 This entry was posted on April 23, 2016 by thebiggayal in Eating Out, Lunch, Restaurants, Review, Savoury and tagged Bermondsey, liquor, Lou Farrow's, mash, pie.